One good thing that the decision on NRO has done is that it has stirred, rather jolted, the docile people of this country into getting engaged in a meaningful public debate on a number of issues. Today it is not just corruption of politicians that is the subject of discussion across the country anymore. This decision has encouraged the people to raise questions about institutions whose corruption is out of the ambit of judicial decisions or parliamentary scrutiny. "The problem lies in the scope of the judgement"
The News on Sunday: How do you view the short order of the seventeen-member Supreme Court bench? Hina Jilani: The Supreme Court to the extent of its jurisdiction has to sometimes deal with provisions that are contrary to the constitution. And, therefore, I don’t think in holding the NRO ultra vires of the constitution the Supreme Court did anything wrong. The problem is not with the judgement itself. The problem lies in the scope of the judgement. The scope is much beyond what the Supreme Court should be doing. The National Reconciliation Ordinance (NRO) was issued by President General Pervez Musharraf on October 5, 2007, just hours before the presidential election the following day. Its primary objective was to win the poll which, in Musharraf’s own words, was being staged for his re-election. In the current winter of discontent a whirlwind is blowing across the land. At the moment Asif Zardari appears to be in the centre of the storm but the People’s Party and the state’s democratic facade also are threatened. Many apprehend an aggravation of the state’s crisis of survival. Many believe that Supreme Court’s decision on NRO is a milestone in the annals of Pakistan’s history that will serve to strengthen the democratic process. Others think the decision can lead the country into a new political crisis and allow the establishment to introduce a Bangladesh-like model of governance as the last resort. The National Reconciliation Ordinance, 2007 continues to evoke strong reactions even in death. The Supreme Court tried to bury the Ordinance on the night of December 16, but it seems it succeeded only partially. Criticism of the short order started coming in gradually. Asma Jehangir, Advocate Supreme Court and UN Special Rapporteur on Religious Freedoms, and one of Pakistan’s most credible voices, questioned the bases of the order while declaring it partial and divisive. Political analyst Ayesha Siddiqa had already drawn attention towards the political ramifications as PPP was seen by many to be on the receiving end during the court proceedings. Basically, it is the role and scope of institutions that has been laid threadbare for all to see. In the process, everyone seems better informed about which institution overstepped its role and which one failed to perform its desired one. There is a near consensus that the law that has been struck down was a bad law and deserved to go. But the debate extends beyond that - to what is the scope of the decision that has come, to the manner in which the proceedings were conducted, to the compulsion of issuing a short order instead of reserving it instead, to the legal and political implications of the decision, to the selective use of the doctrine of "past and closed transactions" and so on. A lot of this debate has been made possible because of the media which, all would agree, is as free in this country as it can possibly be. Interestingly, during this course, the conduct of media itself has been brought into question in the context of institutions that overstep their roles. Pronouncements about some institutions as inherently bad and others as wholly pristine have ordained a self-righteous status to the media which the public is not particularly happy about. The public debate does not exclude the issue of the media overplaying the opinion side of journalism at the cost of impartial and factual reporting. It seems that having created an environment that pitched institutions against each other, it was not possible for the media to exist as an institution that was beyond reproach. Of the huge challenges ahead, the biggest remains: how to prevent things from sliding into total anarchy. This meaningful debate must translate into positive implications for the country. In a nutshell, each institution must ensure there is clear separation of powers. The media should keep this public debate going and exercise its freedom with restraint and responsibility. If this happens, the path ahead will stay clean and clear. My problem is more with the remarks during the course of the hearing. The judges have to be responsible; every word that they utter can be misconstrued, applied to situations that are not within their domain. So they have to be very circumspect in the way that they utter remarks during the hearing. Many of those comments, to me, indicated a bias and subjectivity that is absolutely unacceptable. Accountability is a sensitive process. Therefore, it has to be much more transparent than any other process. That is why, I felt very uneasy when I listened to those comments. TNS: So, is there a problem with the way the proceedings were conducted? HJ: The way the proceedings are conducted creates an environment in which there is credibility or lack of credibility about the process. Then I think judges should be very cautious about pandering to public opinion. They are not out to attract the public or get votes. They have to strictly apply the law. I don’t really appreciate the comment by any judge that "we are ready to take the blame but this is a menace that has to be dealt with". He may be ready to take the blame for it but we will have to face the consequences. The chief justice is guarding an institution that has a positive duty to make sure that everything the judiciary does enhances the capacity and strength of other institutions of the state. Nobody should have the confidence that they have the wisdom to control every institution of this country. TNS: What was the urgency about the short order? Could the judgement not have been reserved? HJ: The practice of short order is really not a very useful exercise. There are, of course, other views. But in a case like this, you can’t give orders and go towards their implementation without your reasoning for those orders being clear to the people who are supposed to obey them. I think it is absolutely wrong to issue short orders in these cases and expect the executive to implement those orders when there is no reasoning to guide them. This is how the whole ECL case happened. People were very happy that the defence minister had been stopped from going abroad. People don’t know that ECL is a bad law. On the basis of human rights, we have been fighting against this law. We have received judgements from these very courts to release people from the ECL list. It’s an infringement of the freedom of movement. If somebody has committed an offence and you don’t want him to move out of the country, you put that as a condition in bail. You can take legal measures rather than taking extra-legal measures. Then you limit the cases in which you apply the restriction on the freedom of movement. Only when there are apprehensions will the offender not come back. How can you say that the defence minister is not going to come back? And even if he doesn’t, he is a man of means. There are plenty of assets that you can take. What is the justification for ECL except to humiliate the government or a functionary of the government? I don’t think it was mentioned anywhere in the short order that you use ECL. It is like giving an impression to the executive that clamp down on them with whatever means you have and the executive is known to not respect the law. There is no argument against the fact that corruption should not be tolerated in this country. But the means to eradicate this tendency, the means to bring good governance, have to be determined and they can’t be done by one institution. It’s a coordinated effort of different institutions that do whatever is possible within their domain. TNS: What were the limits of domain in this particular case? HJ: NRO had a big problem that it gave impunity on a discriminatory basis. You can strike it down. If you want to go a step ahead, you have to see what you can do in your domain. The NAB courts are under the scope of judiciary. The Supreme Court can give them guidelines and scrutinise their working. If the NAB courts want some information, the lawyer or the NAB executives dare not conceal that. These cases have been running for twelve years, why was nothing done in these twelve years? There was no NRO then. Why didn’t the Supreme Court put pressure on the NAB judges? The Supreme Court has a supervisory jurisdiction over all courts. TNS: But the NAB ordinance has its share of problems, doesn’t it? HJ: See, NAB is a bad law. I would have wanted the Supreme Court to say that this should be the conduct of NAB courts and we give them these instructions. They don’t have any jurisdiction over NAB itself. Secondly, they could say that this is the law with these problem areas that inhibit a fair trial and the due process of law. They could have given observations about the NAB law; they couldn’t hold it ultra vires unless somebody challenged it. They could have said there are problems with this law which need to be corrected. This is what the courts do — to warn the parliament. That’s all they can do. Yes they can supervise NAB courts and make as many monitoring cells as they like, and appoint judges for supervision (something they did once for special courts). But they can’t monitor NAB. Where is the jurisdiction of the court to supervise an executive organ or an institution of the state? Tomorrow if the local bodies are not functioning, the judges can’t monitor them. Their [judiciary’s] contribution to good governance is to ensure that their institution acts independently and ensure that whatever decisions they are giving do not hurt other organs. They should, in fact, push them towards better performance rather than weaken them. TNS: Critics say that the judgement touches on the basic features of the constitution unnecessarily? HJ: In simplistic terms, all constitutions have a basic structure. Any legislative initiative cannot disturb those. For instance, the parliament cannot say that we’ll have a presidential system. You have to go much beyond that than just an act of parliament; hence the wisdom of having a two-third majority for constitutional amendment, making it more difficult than a simple legislation. But what they are trying to do [in this case] is to create a hierarchy of constitutional provisions by saying that this is the core that controls all other provisions. Actually, constitutional provisions are all at the same level and have to be treated in compatibility with each other. [The constitution] takes an interpretation that achieves a compatibility rather than one that draws a contention or competition between the two constitutional articles. What they have done [in this case] is that those articles of eighth and seventeenth amendment that we call reprehensible changes, they have used them as the basis to justify their getting out of their domain and enlarging the scope of this judgement. So they are concentrating on articles 62 and 63, and on 2A. About 2A, the Supreme Court has already given two judgements which say that 2A makes the preamble operational. But it does not carry weight more than any other constitutional article. In this judgement, they have indicated this in the short order that 2A or the Objectives Resolution is our fundamental principle or grund norm, and everything will be determined subject to that. So if our law stops us from catching these powerful people, we can turn around and say that so what, there is Allah’s law and we are soldiers of Allah and the constitution is not supreme before Allah’s law. TNS: Some people say that by invoking the basic features doctrine, the Supreme Court has preempted a possible decision of the political leadership of having a separate constitutional court as specified in the Charter of Democracy? HJ: I haven’t seen it from this perspective. This idea of having a separate constitutional court has been experimented in many places in the world in the hope that the integrity and independence of anybody determining constitutional matters is enhanced and it has. These experiments have been quite successful. TNS: What about the use of the doctrine of "past and closed transactions"? HJ: This is a difficult decision. Maybe it will be justified at some other time because of the other truths that we come to know of, but at this point I don’t think you can play with constitutional and legal principles that are so global and so intrinsic. TNS: Do you think they should have treated all cases as past and a closed transaction? HJ: Only the cases that were decided during the four months of the life of the constitution. TNS: But nobody defended the NRO on these grounds? HJ: They [the government] should have assisted the Supreme Court. But there are two sides of the argument. Now with the benefit of hindsight we can say that they were wrong and they think the same. But as a government they are supposed to be sagacious. TNS: Is an appeal possible? HJ: There could be a review but it will be the same people and we’ve seen their level of commitment to this subject, in their view rightly, in my view self-righteously. A self-righteous judiciary is not an independent judiciary. Judiciary’s independence means that you rise above your bias and subjective ideals. The thought of losing the election had never crossed his mind, but he wanted to be sure that nothing would stop his march to victory. Not wanting to take chances, Musharraf insisted on contesting the election while still holding the job of Pakistan Army chief. He also made a deal, brokered by the US and UK, with Benazir Bhutto, after months of negotiations that at times appeared to be some sort of bargaining. The PPP leader was then in self-exile and desperate to return home to take a shot at reclaiming power. Feeling vulnerable despite wearing the military uniform and commanding more than 600,000 soldiers, Musharraf was ready to do anything to retain his office and keep his ill-gotten power. As commander-in-chief of the armed forces, General Musharraf was able to forcibly do things. But the military rule had taken its toll by then and the dictator was no longer sure of overcoming the growing challenges to his power. The political forces were restless and the lawyers had gained confidence after having robustly protested the suspension of Chief Justice of Pakistan, Iftikhar Muhammad Chaudhry, in March 2007 and were now ready to resist any illegal and unconstitutional action of President Musharraf. The civil society had become vocal and better organised to make itself heard. The independent media had become the Fourth Estate in real sense of the word. The NRO gave a brief reprieve to General Musharraf. He manoeuvred to win the presidential election but it came at a heavy cost. His credibility was further eroded and he became a hated figure. Here was an army general who had arrogantly ruled out any deal with the top opposition politicians, Benazir Bhutto and Nawaz Sharif, and pledged to keep them out of the country and power forever. Not only did he go back on his word but he also agreed to deal-making with Benazir Bhutto by declaring her innocent of all charges of corruption and misrule and withdrawing cases against her from the courts. It seemed as if a monarch was offering amnesty to a person who had been accused of wrongdoing and charged with misappropriating public money. This was one more time that Musharraf had gone back on his promise. Earlier, in 2004, he had set aside the pledge that he made on television to give up the post of Chief of Army Staff as part of a deal with the six-party Islamic alliance, Muttahida Majlis-i-Amal. That too was a power-sharing deal. He remained in power after going back on his promise and this could have encouraged him to cut more deals in a bid to prolong his unconstitutional rule. He wasn’t bothered. One decision that harmed Benazir Bhutto’s political career and her PPP more than anything else was probably the NRO. The act was bitterly criticised and the critics included her supporters and well-wishers. She was accused of opportunism and for cutting a deal for personal gain. The NRO haunted her for as long as she lived and became a blot on the fair name of the brave Bhutto family. Her pleas and those of her loyalists that the cases against her were politically motivated were drowned in the din of loud criticism of the NRO. Perhaps no other law in Pakistan earned so much notoriety as this hastily issued presidential ordinance. Long after her death, the NRO continued to generate controversy and draw criticism. And it has now caught her husband, who chose to become the President of Pakistan to claim immunity on the strength of an electoral victory in the February 2008 general elections that became possible due to the sympathy factor generated by her martyrdom. While it is true that Benazir Bhutto would not have ended her self-exile and returned home if there was no NRO, the fact remains that it also gave a new lease of life to General Musharraf. He had been weakened by the turn of events and was apparently on the way out. The US was still supporting him in the hope of winning the so-called "war on terror" by keeping him and Pakistan’s armed forces on its side, but the realisation was gradually gathering strength in Washington that the unpopular Musharraf was becoming a liability. One major sign of the weakened Musharraf were his desperate attempts to stay in power by resorting to unconstitutional actions, sacking people like Chief Justice Iftikhar Chaudhry for creating hurdles in the way of his re-election and cutting deals with top politicians such as Benazir Bhutto. Instead of offering him a lifeline through the NRO, she should have waited for a while and tried to put political pressure on him to weaken his hold on power. However, it seemed she wanted to achieve a lot more from the NRO deal by not only winning her return to Pakistan and active politics but also the withdrawal of all court cases against her, her spouse Asif Ali Zardari and supporters. It is another matter that so many other people, almost 8,000 to be exact and including politicians, bureaucrats and businessmen, benefited from the NRO. Altaf Hussain’s MQM benefited the most as a reward for its support to the uniformed Musharraf as even criminal cases against his party members were taken back. Nawaz Sharif too benefited indirectly from NRO because he couldn’t be kept out of the country and politics once Benazir Bhutto was allowed to return home. Earlier, he had been given relief and allowed to move out of jail and land in Saudi Arabia as part of yet another Musharraf deal reached through the mediation of the Saudi royal family and other Arab dignitaries. There wasn’t any real ‘national reconciliation’ that was supposed to happen once the NRO was implemented. It was ‘reconciliation’ between Musharraf and Benazir Bhutto arranged by the Americans and the British during their talks in Dubai, London and Washington. The NRO didn’t overcome the distrust that Musharraf and Benazir Bhutto had for each other and before long both sides were convinced that this wasn’t going to last. It bought temporary benefits only to the two deal-makers. It may have enabled Musharraf to rule a little longer or Benazir Bhutto to get rid of court cases and return home. But the price they had to pay in terms of damaged credibility and accusations of unprincipled deal-making was much higher than their gains. Pakistan and its politics would have been better-off without the NRO. 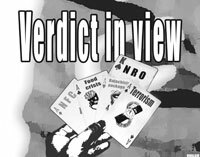 The Supreme Court verdict on NRO could not have come at a worse moment for Zardari. Even before this judgment hit the government, the President had alienated the entrenched establishment and his potential supporters, besides giving the media quite a few causes to corner him. He lost several points by appearing to stand in the way of a popular lawyers’ movement. He might not have been solely responsible for the delay in the restoration of judges but if this was a fact he tripped on two counts: first, he could not take the people into confidence about the March 15 story; and, secondly, he erred in assuming that a democratic government could match an authoritarian regime’s capacity for suppressing a mass agitation. Most people believe, though not quite correctly perhaps, that the NRO verdict has ignited the fires around the President. But it is correct that the NRO affair unhinged the Zardari caucus. At no stage was it able to develop a strategy to contain the inevitable result of the case before the Supreme Court. A belated and ill-planned move to secure the parliament’s endorsement of the indefensible ordinance failed, and not unexpectedly. Then, like an ostrich, the caucus passively watched the court proceedings without indicating any sign of a plan to face the consequences of the judgment that could have been anticipated, at least as a probability. It should have known that the NRO was going to catch up with it sooner or later, even if the ordinance had been approved by the parliament. That public resentment against people and practices branded corrupt have increased the problems faced by the government and the PPP is obvious to all. Nobody should doubt that perception of corruption in high places has a more direct effect on public attitude towards a party than its other shortcomings. However, the Pakistani people have a high threshold for tolerating corruption provided there is evidence of the spoils being distributed among a large number of people outside the ruling hierarchy and the symbols and evidence of corruption can be kept out of public gaze. The President overlooked both of these conditions and may have to pay for the narrow base of his patronage system and for inviting charges of arrogance and insensitivity in keeping his buddies with tainted reputation up in front. One of the critical tests Zardari faces is whether he will fight for himself only or whether he will strive to control the damage to the PPP. The party certainly deserves better treatment from its leaders and the people at large than it has received. It is possible that it is still paying for its original sin of causing the privileged elite humiliation at the hands of the rabble and that the elite and its hangers-on and hirelings are determined to eliminate it from national politics. Once again the party is going to suffer for its leadership’s failure to organise it, to throw up a disciplined cadre capable of meeting the challenge it is facing today. In the absence of a cohesive following, the party loyalists are likely to react to the siege of the Presidency in a manner that will cause it loss of support outside Sindh. That will be a serious blow to national politics. Already there is talk of the PPP playing its Sindh card as if that is something forbidden under some quaint principle. Why should the Sindhis alone be censured for using their ethnic card when all the other ethnic groups (Punjabis, Baloch, Pakhtuns) have used their ethnic card at one time or another? Nobody is referring to the MQM card that was used to trump the government’s move to get the NRO passed by the parliament. The effectiveness of the Sindh card will again depend upon the PPP’s capability to carry MQM along, otherwise the party’s permanent adversaries will make capital out of intra-Sindh conflict. At the moment PPP’s rivals are deriving malicious pleasure from its plight. If the power brokers believe the destruction of Zardari and PPP will not hurt Pakistan and its system of government, the country may be in for greater trouble than evident today. This does not mean that their faults or wrongdoings should be ignored. All that is required is to recall the adage that while politicians should avoid moral and judicial censure politics is governed wholly neither by morality nor by law. Legal and moral requirements have sometimes to be sacrificed for political imperatives. Due weight is always given to electoral verdicts in favour of politicians, otherwise Mandela and Kenyatta could not have moved from prisons to presidencies. The PPP cannot be denied what is its due as the largest single party in the parliament. Unfortunately, the post-NRO problems have surfaced at a critical time for Pakistan. The state is fast moving towards a total chaos. The government has lost its grip over the levers of authority. The economy is gasping for breath. While pretenders to the ‘gaddi’ have become strong the political parties have shrivelled. The situation demands a strong government, not in terms of its coercive power, but in terms of talent, skill and capacity needed to overcome seemingly insurmountable odds. In order to pull the state back from the brink and ensure the survival of democracy a great deal will have to be done by all parties and individuals, beginning with Zardari. He has every right to go down fighting but his right to drag the PPP down with himself is not clear. His exit from politics will not necessarily amount to an admission of guilt, the step is necessary to quell mischief (rafa’sharr). On its part, the government must start acting as a government. It has to be firm without being stubborn in dealing with the legislature and the judiciary. High-pitched rhetoric and declamations full of platitudes are no substitute for efficiency, earnestness and commitment to public good. It must unburden itself of the tainted figures and lay the foundations of a sober discourse with the opposition and the public at large. The PPP has to make hard choices in the shortest time. Let Bilawal Zardari Bhutto continue as the party’s patron but its leadership must be passed on to a prominent party member enjoying the confidence of workers. The party will face hard times and may not do as well in the next election as it did in 2008 but it will be able to turn the corner if it is organised as political parties should be put together. All other political parties need to realise their own stake in the democratic system. The anaemic body of Pakistan may not survive another flirtation with authoritarianism. TNS spoke to political scientists who maintained that an election had been scheduled for the end of 2006 in Bangladesh but it did not take place. The military-backed caretaker government made up of technocrats started accusing the mainstream political leadership for corruption and decided to bar them from taking part in elections. Emergency law was declared and a massive campaign launched to crack down on corruption. The government arrested more than 200,000 people belonging to mainstream political parties on counts of corruption. "The Bangladeshi model, so to speak, basically refers to a system of governance in which the military remains in the background and its approved team of technocrats runs the affairs of the country. The decision-making power lies with the military but for certain constitutional issues it cannot come in the forefront. This model also means that main political leadership may be ousted from politics and establishment-approved new faces be introduced," says Dr Hassan Askari Rizvi, renowned political commentator and former head of political science department, University of Punjab. 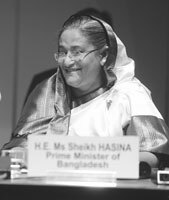 Although the model did not work in Bangladesh, finally, in the end of 2008, the interim government had to conduct elections in which Awami League headed by Sheikh Hasina Wajid clinched a thumping lead and shot back to power as the prime minister. He believes that the present political situation of the country is not conducive and, if opposition (i.e. the PML-N) decides to play in the hands of the establishment, the Bangladeshi model can easily replace the current system. "For certain reasons, the Army cannot come forward to rule the country like it did in past. So they will have to form a government on the lines of the Bangladeshi model whereby they can run the affairs of the state while staying in the background. "A new wave to malign the political leadership is already sweeping the country and something fishy is cooking. The role of Mian Nawaz Sharif will be very important in days to come. The establishment will have to make amends in order to localise the model as at present it cannot afford to show the leadership of the two big political parties the door," he adds. The irony of the decision coming on Dec 16, 2009 isn’t lost on many. The nation once again seems divided. Is it because of the high-pitched, courtroom drama that lingered on for several days coupled with the hype created by the media, the lawyers, or does the Dec-16 short order itself provide an opportunity for the takers? A bit of all, it would appear. There is no doubt that the NRO was a bad law as it fell foul with fundamental rights enshrined in the constitution. Sections 2 and 7 (of the NRO), concerning politically motivated cases, fell foul with article 8 and 25 of the constitution, and petitioners’ lawyers declared them to be tantamount to legislative judgment and interference by the executive/legislature in matters falling within the judicial sphere. Section 6 of the NRO amended the NAB Ordinance by envisaging orders or judgments passed under the NAB Ordinance in absentia against an accused as void ab initio. Another section envisaged amendment to the Representation of Peoples’ Act, 1976 providing that the Returning Officer on the election day shall immediately — after consolidation of results — give a copy of the result of the count notified to the Election Commission to candidates and their agents against proper receipt. This was definitely a welcome amendment. However, the apex court in pronouncing decision in the form of a short order has declared the whole of the NRO void "ab initio being ultra vires and violative of various constitutional provisions including Article Nos. 4, 8, 25, 62(f), 63(i)(p), 89, 175 and 227 of the Constitution". By relying on such provisions as 62 and 63 and 227, the SC has taken upon itself a burden that it might not be able to discharge. Article 62(f) is particularly sticky in as much as it requires the members of parliament to be "sagacious, righteous and non-profligate, and honest and ameen", qualifications which no court of law can ever judicially determine. Reliance on Article 227 (under Part IX of Islamic Provisions) is also questionable as it prescribes that no law shall be enacted which is repugnant to the Injunctions of Islam as laid down in the Holy Quran and Sunnah. A more careful reading of this part of the constitution suggests that the Council of Islamic Ideology (articles 228-230) is given the mandate to recommend measures to the parliament to bring laws in conformity with the Injunctions of Islam. The court’s reliance on it has prompted the critics into asking whether the SC hasn’t travelled beyond its jurisdiction as settled in Hakam Khan’s case [P L D 1992 Supreme Court 595] in which the presidential power to pardon (Article 45) was challenged on grounds of being inconsistent with Objectives Resolution (Article 2A). The ratio of decision in Hakam Khan was that any existing provision of law seen to be in contravention of the Injunctions of Islam was to be brought to the notice of the parliament which alone was competent to decide the fate of such a law. A digression from this precedent, as indicated in the short order, would only create problems as the apex court will be deemed to have arrogated to itself the jurisdiction to legislate. What is, however, more intriguing is the court’s affirmation in no uncertain terms of the doctrine of basic structure (para 14) in declaring Independence of Judiciary, Federalism, parliamentary form of Government blended with Islamic provisions as the basic features of the constitution. The Indian Supreme Court first acknowledged this principle in Kesavanada Bharati case [AIR 1973 SC 1461]. In Pakistan, the courts have been uncertain and reluctant as to adopt the doctrine. The SC in Mehmood Khan Achakzai’s case [P L D 1997 Supreme Court 426] did not clearly adopt the doctrine when it dismissed the challenge to the Eighth Amendment in a somewhat questionable manner. The argument was also pressed in the Zafar Ali Shah case, however, without practical success. In Kesavananda Bharati case, which the short order relies upon, there were thirteen judges who came up with as many views on the basic structure of Indian constitution. There was no unanimity. One hopes to see a more reasoned judgment by the 17-member bench that will treat the subject as it deserves to. Bringing the basic structure doctrine under discussion was unnecessary and adopting it in such certain terms can have seriously adverse consequences for an already garbled constitution. The short order has also directed the federal government to make fresh appointments for Chairman NAB. This is also something which is contrary to the theory of separation of powers which the court seems to be so jealously guarding in the short order and for good reasons so. Section 6 of the NAB Ordinance provides that the Chairman NAB could only be removed on the grounds of removal of Judge of Supreme Court of Pakistan. One controversial provision in the NAB Ordinance relates to trial in absentia (section 31A). This was also amended by the NRO by declaring convictions declared in absentia to be void. This provision of NRO was in consonance with consistent position adopted by superior courts against the in-absentia trials as well as the International Covenant on Civil and Political Rights that recommends (article 14) that every person will be entitled "To be tried in his presence, and to defend himself in person or through legal assistance of his own choosing". The detailed judgment, it is hoped, will look into the pros and cons of trials in absentia and make appropriate recommendations to the parliament. Similarly, amendment to the Representation of Peoples Act, 1976 was also beneficial which needs to be referred to the parliament for due consideration. Upholding in-absentia trial will upset a golden rule of criminal law. The court has also invited criticism for directing the revival of all cases disbanded under the ordinance. This, on the face of it, appears to be a departure from the consistent position taken by the apex court that matters once concluded would be considered past and closed transactions even if a law is declared void and ultra vires the constitution.